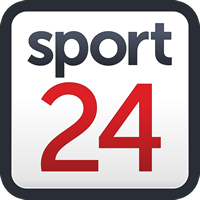 The Springbok Sevens side claimed a disappointing fifth place at the Sydney Sevens, but needed every inch to do it as veteran Kyle Brown scored in the final seconds to beat the hosts Australia to the position. Brown, who came in as a late replacement after captain Phillip Snyman was ruled out, claimed the record of the most tournaments as his own, appearing in his 69th tournament, and had the winning try as a crowning achievement, even though the rest will be forgotten in a disappointing overall performance for the Blitzboks. Selvyn Davids scored the other try, but it was Brown’s effort, with the Blitzboks 10-7 behind in the last minute, that stole the game for them. It gave them valuable points as they were soundly beaten by England in the quarterfinals and are now in danger of not making the top four, let alone defending their title as the series heads towards the halfway stage. The warning lights are flashing for Neil Powell’s side as they are set to drop below the English on the World Series log, with the top four sides automatically qualifying for the Olympic Games. Given the success they’ve had in the past few years, the result is disappointing, especially as they managed to avoid Fiji and New Zealand on their side of the draw and would have faced USA in the semifinals if they had progressed. But a bad start, coupled with a yellow card at the wrong time, saw the English surge to a 14-0 lead early on through tries by Charlton Kerr and Tom Mitchell, before JC Pretorius was binned for a trip. Zain Davids managed to get on the scoreboard early in the second half, but England simply kept the ball away from the Blitzboks, with Phill Burgess and Tom Bowen scoring to wrap up the match. The Blitzboks then beat Spain 33-0 to move into the fifth place match, while New Zealand won the title, beating USA 21-5 in the final.